If you are from a non-commerce background, start with Class 11-12 accounting books. This ratio is basically useful to gauge a company’s short term solvency. It indicates the ability of a company to service it’s short term obligations such as ~ paying off creditors, paying off working capital loans and other liabilities which are payable in the next twelve months. Popular liquidity ratios include “Current Ratio” and “Quick Ratio”. Now, assets held to be sold within the next twelve months are current assets and liabilities to be paid in the next twelve months are current liabilities. 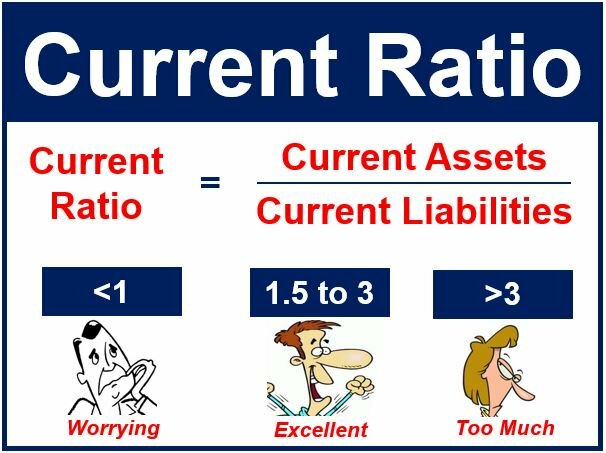 Current Ratio shows us how many times the current assets of the company covers the current liabilities. Look at the above table – Which company has better liquidity? Just looking at the numbers, one might think Inox Wind but in reality Reliance Industries has a better short term solvency. Most of Inox Wind’s current assets are trade receivables ( 63% of current assets ) which means that they are relying heavily on credit sales and there is a risk of a vendor failing to make payments on time! This is a major pitfall of looking at the numbers in isolation. This ratio is basically a modification of current ratio. Quick ratio assumes that inventory will take time to sell and thus it cannot be considered in current assets to gauge short term solvency of a firm. We however have another view of this assumption. While it is tough for many companies like BHEL, L&T, Inox Wind to clear their inventory at short notice (30-45 days) due to critical nature of their inventories, it is fairly easy for retail companies like Avenue Supermarts (DMart), Titan, PC Jeweller, Future Retail, etc to clear inventory by putting up a sale (Monsoon sale, clearance sale, winter sale, etc). Thus you cannot have the same formula for every company! 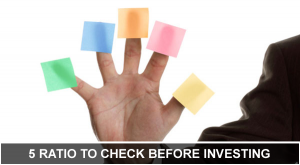 For some companies inventory is fast moving while for some recovering dues from debtors will take a shorter time. It is usually seen that companies with a high debt to equity ratio eventually go bust! GMR Infra, GVK, Lanco, Kingfisher, Deccan Chronicle, JP Associates, etc are some examples (The Government is trying to save them). As an investor, you should ideally have a major chunk of your portfolio in companies with low debt to equity ratio (Less than 0.50). When the economy faces headwinds for a year or two, these companies manage to sail through while heavy debt companies go under. Investors make a mistake when they assume that all debt free companies will do good. At Raghav Behani Equity Research, we pay immense importance to return ratios. Hidden within the return ratios are the secrets of past and future efficiency. This has helped us identify many multibaggers like Shakti Pumps, Mold-Tek Packaging, Chaman Lal, Yes Bank, etc over the last five years. ROA is a useful metric to gauge the efficiency of management in utlizing its assets. How well is a company able to utilize its current and non-current assets? Never look at ROA in isolation ~ You need to look at industry ROA and see if the company is more efficient than its peers in asset utilization. We use this ratio to identify efficient players in capital intensive industries like metals, mining, fertilizers, etc. DMart is an extremely efficient company. This is how they have sustained 30% p.a. and higher growth over the last decade – DMart – Still a multibagger? Most of us are fans of moat investing, aren’t we? Did you know that ROCE helps gauge the moat a business enjoys. Rather than looking at the ROCE of the current year, you should look at the ROCE trend over the past 3-5-10 years. We at a firm level don’t rely on ROCE reported by companies but rather have our own tools of computing the same (As with most formulas). Our research team comprises of Chartered Accountants with vast experience of auditing listed companies and our experience taught us that number can be misleading! That is why we encourage you to dive into the ROCE to have a better view of its sustainability.